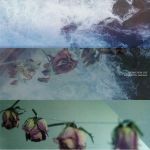 Review: As the man behind the Opal Tapes label, Stephen Bishop has been responsible for curating some of the most interesting experimental music of the past few years, but as Basic House he is also responsible for putting out his own productions, with LP-length cassettes on Opal Tapes, Washy Tapes and Digitalis in recent years. Oats sees him arrive on Alter, the label run by Luke 'Helm' Younger. Oats is an LP which more than fits in with the dark, subdued and grainy aesthetic Younger has been developing over the past few years, with the scuffed kicks, haunting tones and sluggish percussion of tracks like "AR II" and "Child Confession" and the paranoid musique concrete of "Interiors" and "Eat Oan" marking out Bishop as someone whose musical vision seems to be maturing with experience. Review: With a wealth of modular techno and experimental sounds to his name, Ralph Cumbers is a prolific producer by anyone's standards and he seems to be going through a particularly productive spell of late. 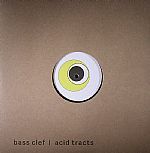 As well as records on PAN and Public Information being announced recently, last year's excellent Acid Tracts cassette has now been reissued on vinyl thanks to the Alter label overseen by Luke 'Helm' Younger. Fans of Bass Clef's under rated Punch Drunk LP Reeling Skullways are encouraged to investigate here, as the potential shown on that album is opened up in glorious fashion across wider stylistic spectrum. Already an album filled with witty track titles, this vinyl edition comes packing an extra previously unreleased one in the shape of "Music Sounds Better Without You". Review: Long-serving, jungle-loving experimentalist Christoph De Babalon is on a roll. This rock solid EP comes hot on the heels of his latest inspired album, "Exquisite Angst", which slipped out in early December 2018. The four tracks offered up here are typically bolshy and bass-heavy, with De Babalon mixing and mangling IDM and Atari Teenage Riot style "digital D&B" insanity to suit his own twisted ends. In terms of highlights, we're particularly enjoying the bass-weight, skittish breakbeats and ghostly electronics of "Harakiri" and the more loose and languid - but no less bass-heavy - flipside opener "Shakes and Shivers". That said the dark and apocalyptic "Endless Inside" is also superb. Review: Helm's release from last year, World In Action, was one of our top picks from Will Bankhead's TTT store, and still deserves to be picked if you missed it the first time round. 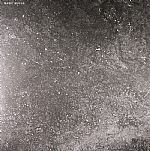 As such, it's no surprise that Helm himself has wanted to relaunch the EP, as a remix affair, on his own excellent Alter imprint. Truth be told, there is so much more to be said in these tunes, thanks to their loose and ambiguous properties, and it's safe to say that he's picked exactly the right group of artists to help him elevate them to the next level. Parris, Low Jack, Laurel Halo, Beneath, and Sky H1 land on Helm's originals with grievous intentions, each offering a visible shade of their own styles and takes on the enlarged techno domain - a detuned, demassed, and utterly destroyed collection of sounds. Big. 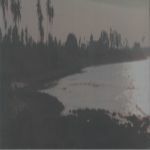 Review: Helms's Alter label is the latest to be seduced by the Primitive Languages of New York-based Nick Klein, whose brash industrialisms have previously featured on Entro Senestre's BANK, German labels MMODEMM and Unknown Precept and cult US tape crew Ascetic House. The Lonesome Dealer features some wonderfully evocative track titles ("Christian Rock Concert" and "Pain Resource Management") and continues Klein's grotty amalgamation of techno rhythms with the powerful sonic impact of noise traditions. If you have been enjoying the output of Beau Wanzer or Maoupa Mazzocchetti recently you should certainly check this 12" out! The Cabaret Voltaire gone Reggaeton of lead track "Chats with Lucy" and the deranged abstraction of B-side opener "Do You Want To Crash?" are particular highlights.